Bul-GO-gi? BUL-go-gi? Bul-go-GI? 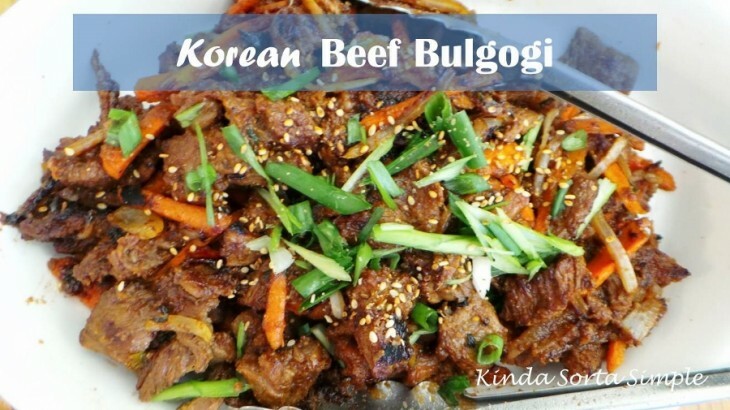 No matter how you pronounce the name of this amazing and increasingly popular Korean meat dish, Korean beef bulgogi is extremely tasty and one of my favorite dishes to prepare when I am entertaining and looking to impress guests. It is healthy, flavorful, and when paired with lettuce wraps becomes a fun meal to eat with a crowd. 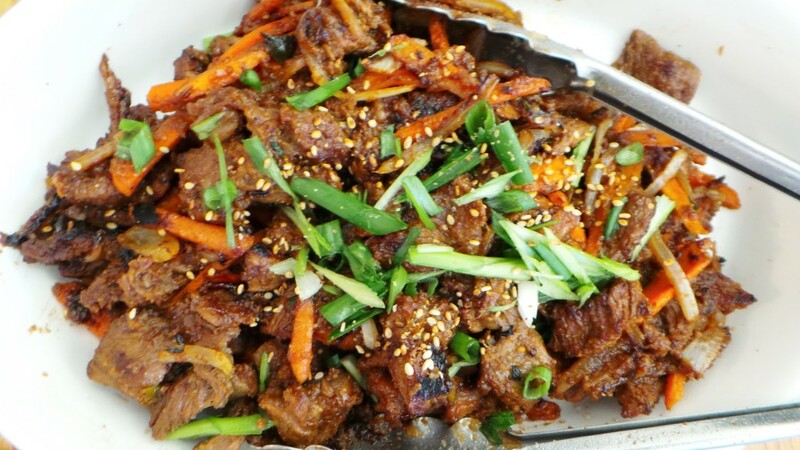 It is exciting that Korean beef bulgogi is becoming more common in many different restaurants and food establishments. 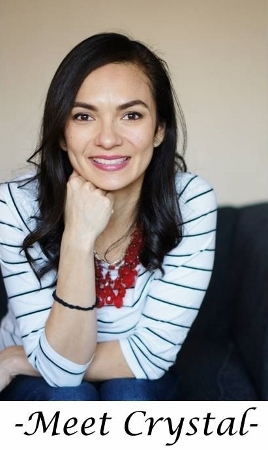 For example, I have seen bulgogi tacos on a number of menus, as well as bulgogi sushi, bulgogi bowls like the ones I have shown on the blog before, and more. Here I started with the thinly sliced beef tenderloin and added onion, Asian pear, and garlic that was pureed in a food processor. The pear not only adds the slight sweetness to the meat but tenderizes it as well. 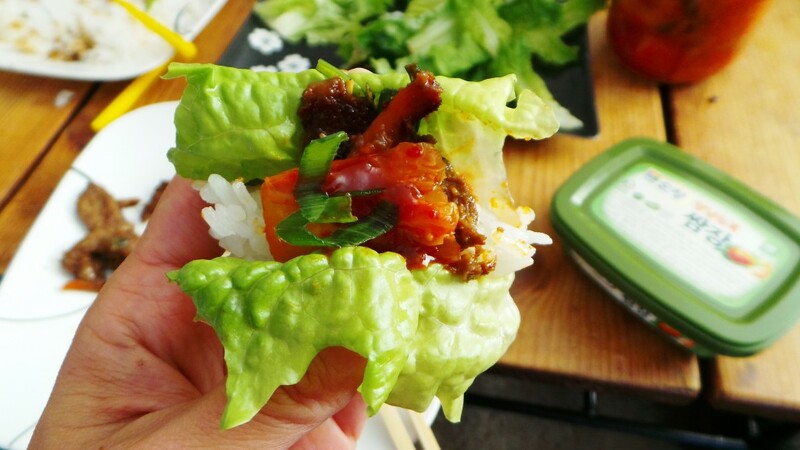 I personally love eating Korean Beef Bulgogi in lettuce wraps that include rice, kochujang (spicy red pepper paste) and ssamjang (spicy bean paste), kimchi, and sliced raw garlic. YUM! The finished product, all ready to be devoured. My son’s lettuce wrap that he put together by himself. He wanted to make sure I took a picture to share! 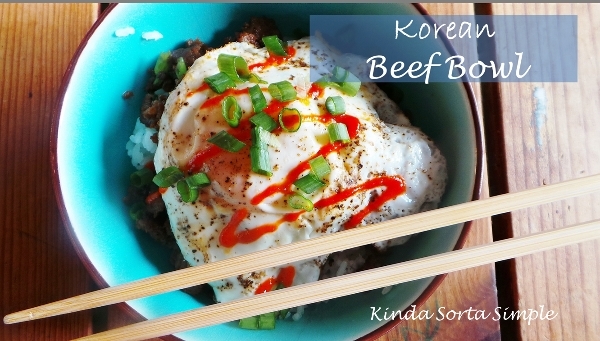 Behold the printable recipe for Korean Beef Bulgogi! 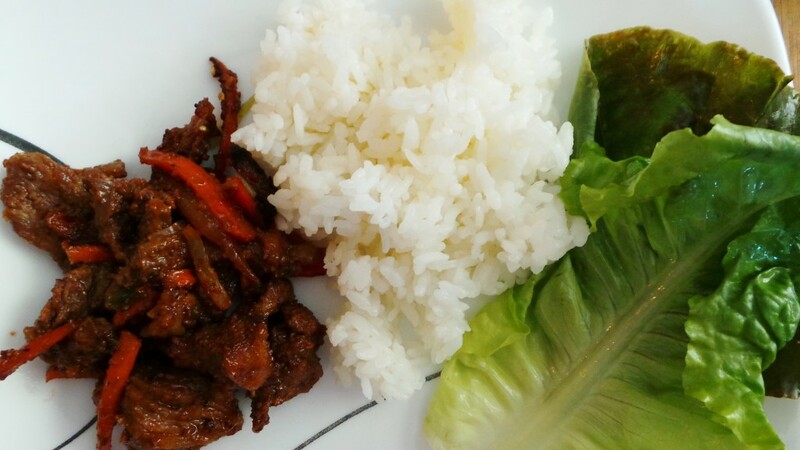 Korean Beef Bulgogi is a very popular and healthy Korean dish that uses thinly sliced beef that is marinated before cooking and can be eaten in a variety of ways. 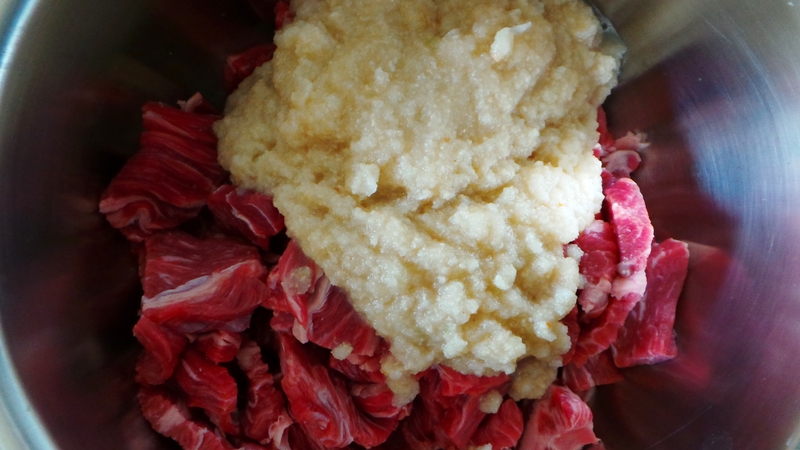 Place sliced beef tenderloin in medium bowl. 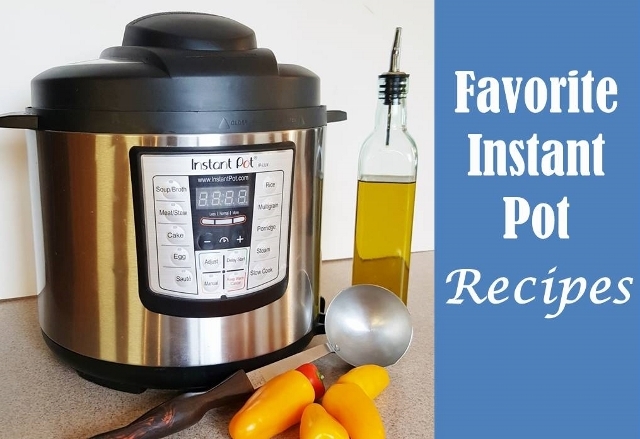 Using a food processor or blender combine the onion, garlic, and Asian or Bosc pear until pureed then pour over sliced beef tenderloin. Add the soy sauce, brown sugar, sesame oil, sliced carrots, salt, and pepper to the bowl and mix thoroughly. Cover with plastic wrap and place in refrigerator for at least 1 hour to overnight. After marinating, cook over medium-high heat on the stove in a large frying pan OR cook on a hot grill. 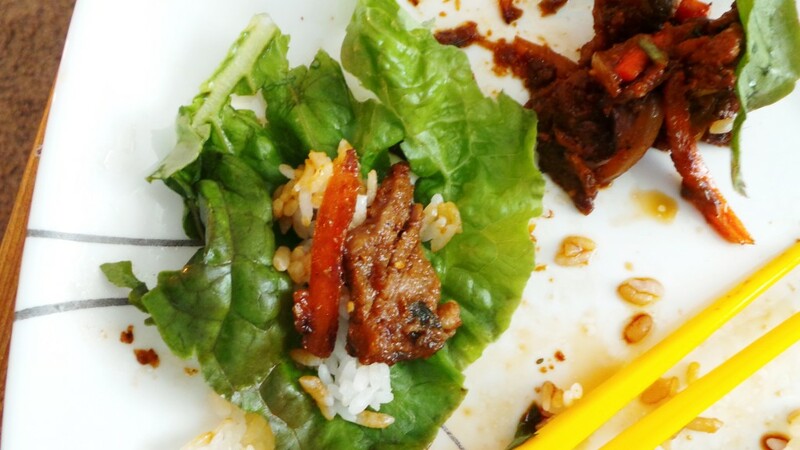 You can eat the bulgogi with rice, in lettuce wraps, or even in tacos. Have you ever tried bulgogi in tacos? 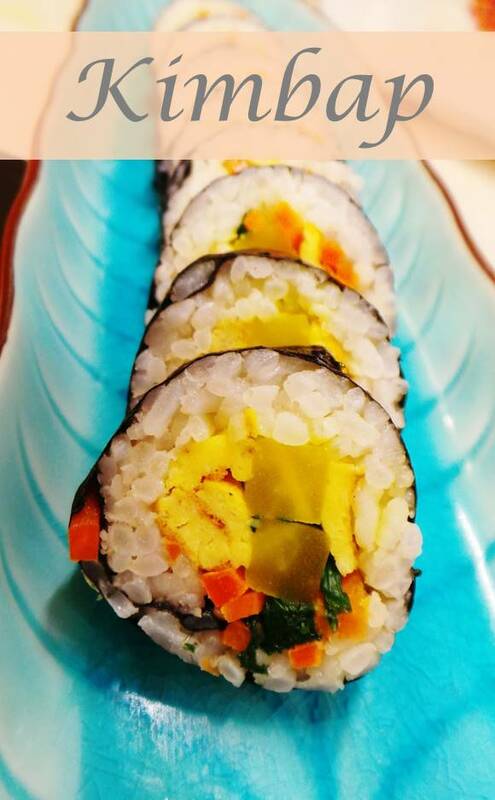 What other mainstream dishes could you add bulgogi to? All, Food beef, bulgogi, food, healthy, Korean food, recipe. permalink. Thanks for the awesome post it looks very good. Question what are your thoughts on the quantity? is this a dish that will feed a large amount of people or just a dish for lets say a family of 4, based off your ingredient quantities? Great question Sahmad, thanks for asking. This quantity would be good for about 4-5 servings, so this should be enough for a family. If it is just for one person, they can always use the leftovers for some great meals like tacos, rice bowls, and more!